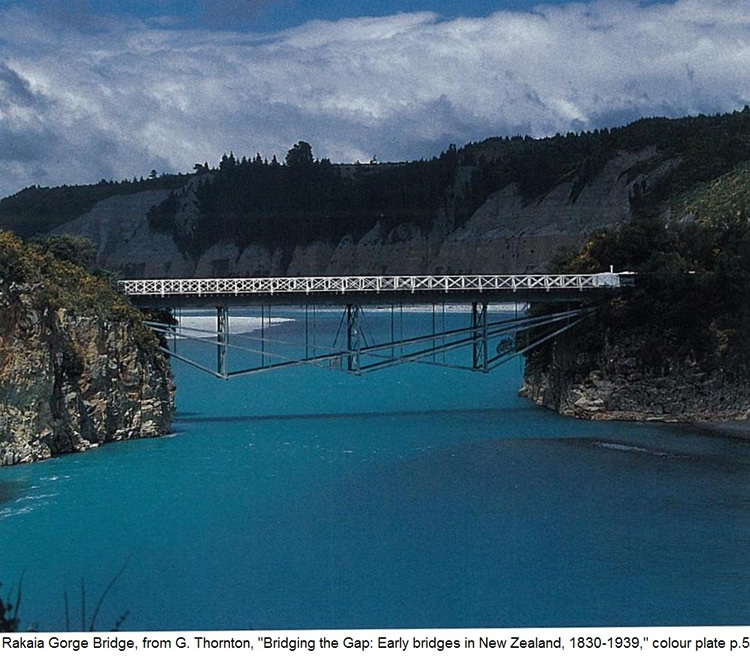 Assumptions about New Zealand Rivers. One of my long term goals is to "section" walk Te Araroa, New Zealand's "thru-hike" that runs the length of New Zealand, from Cape Reinga to Bluff. Te Araroa take walker through some of New Zealand's most spectacular landscapes and I will probably be not be attempting this in one go, and some parts I will be doing supported. 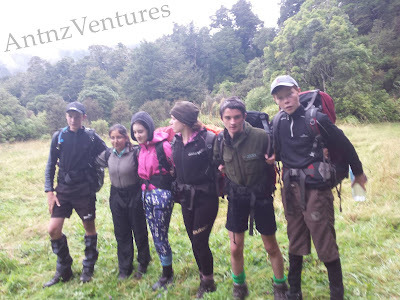 Te Araroa is drawing more and more international visitors every year, it is newly developed as far as "thru-hikes" go and at this time it sometimes feels like there are more tourists on the trail than New Zealanders. I've been hanging out in the Te Araroa Facebook Groups for awhile to gather intel so when i head out to walk sections I have plenty of information on track conditions, how difficult that section is and be as prepared as I can going into each section. A common discussion across the Te Araroa groups is on the rivers that maybe encountered while doing this through-hike. 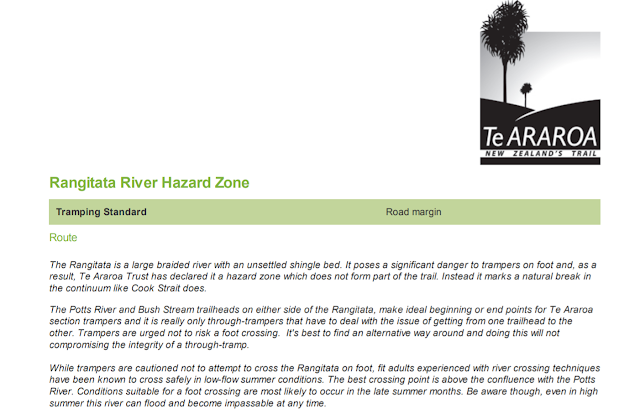 In particular there are a couple of rivers in the Canterbury section of Te Araoa that are particularly hazardous and are often are pretty contentious. Overseas visitors have not always taken on board the knowledge and warnings of New Zealand locals and should it go wrong there is a real risk of death. My concern is that some people are not heeding the safety message, hence the reason for this post. Raikaia River. 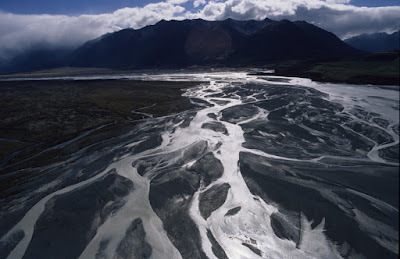 Prime example of a braided river. New Zealand rivers take lives. There is no other way to say it, our rivers take lives, mainly because people don't take into account the risks involved. 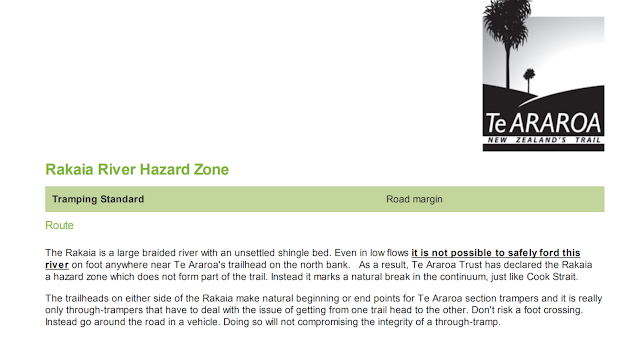 The Te Araroa Trust has deemed these rivers as Hazard Zones because of the risk involved. The land on either side of the Rakaia River is also private land, so those crossing are also trespassing. Both these rivers have huge tributaries in the Southern Alps and being braided rivers just ups the ante. So what makes our rivers so deadly? The simple answer is our unique geology, topography and weather systems. These things themselves aren't what kills people; but more often than not, it is people underestimating our rivers and making bad decisions is what makes our rivers killers. New Zealand is basically a series of ridges that have uplifted in the South Pacific ocean. The islands have low-lying plains that suddenly turn into high ridges. We are surrounded by water, with 3 predominant weather systems that all crash into the country. The warm systems that blow from the West, that have usually come across Australia building in intensity as they cross the landmass, then those system pick up water as they come across the Tasman sea, then they hit the Western sides of the ranges, dumping the water. Warm, wet systems that come from the North East that have picked up a lot of water moving across the Pacific Ocean that dump water when they hit land and/or other systems that are moving through. Then we have the famous New Zealand "Southerly", this is the cold, wet systems that blow up from Antarctica and across the Southern Ocean, often bringing rain and snow with them. When these systems are "lows" all of them bring some form of precipitation. Our mountains are steep and so are our valleys, water always heads the fastest way possible downhill. 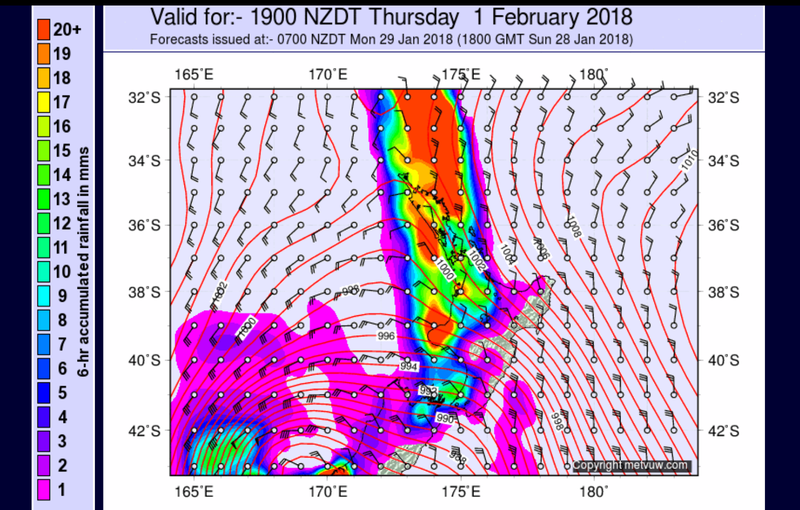 Due to these systems combining, the predominate system can slow down or speed up so at times people get caught out by relying on a weather report that they "saw a few days ago". Our geology and topography is because of land is uplifted from the ocean or volcanic (Rim of fire) so water tends to run off fast, and you only need to look at the Dec 2017 - Jan 2018 rainfall and drought that we are currently experiencing. The other side of this is that our rivers rise fast, and often our rivers have huge tributaries in areas that you may be no where near. Braided rivers also occur here, these often wide but multi-channeled rivers also have additional risks. Due to the uplifted nature of our topography weather systems roll off the sea and hit the high gradient hills and pretty much dump all the water they are carrying. With water always travelling downhill, and looking for the easiest path, as the erosion had produced most of our valleys and gorges there are often deep and gentile looking rivers that are in fact carrying huge volumes of water. What makes water so dangerous? Although I generally held a healthy respect for water, just how dangerous really sunk in when I learnt that a 1 cubic meter of water is about 1 tonne (1000kg) of weight coming at you. I was chatting with a friend who said that an elephant (African) weighs about 2.7 tonne, the image of elephants charging down a river stuck. So what does this actually mean?? I could bore you all to death with hydrodynamics and laminar flow, undercuts and eddies but I'll put some of this in more practical terms. I also had a chat with Heather Grady. 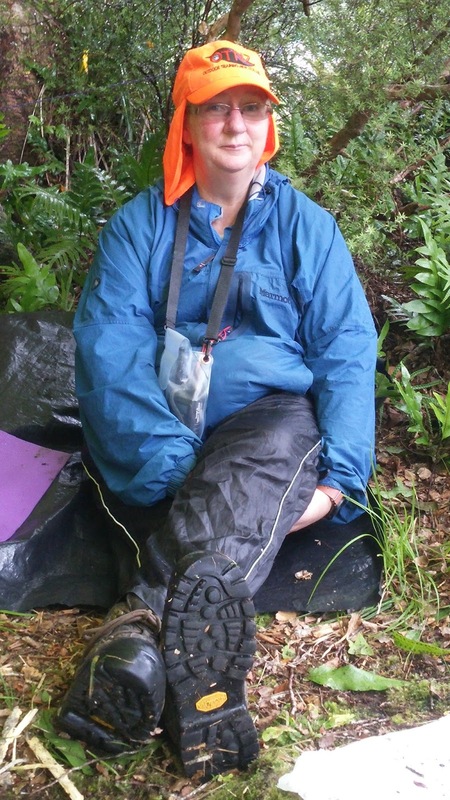 Heather is both the local Manawatu and the National Chair of Outdoor Training New Zealand, a Bush 1 and Risk Management Instructor. So I thought I would get her perspective as to why people underestimate our rivers. Heather has also been a long time supporter of what I have been doing in the outdoors and I am truly grateful for her support over the years. The rivers rise fast. In 2005 when I was doing "Swift Water Rescue" training as part of my Diploma of Adventure-Eco Tourism, Rafting unit, we were training in a local river. We were doing things like swimming across the river, swimming through strainers (logs etc caught in the river), tethered rescues, releasing foot entrapment; well the trainers ended up calling quits to the day at about lunch time. We knew it was raining both at the site and in the tributaries, but hey we were going to get wet anyway! Knowing that it was raining we had placed "markers" at the river's edge, 2m out, and 5m out. We probably entered the river at about 10am, by the time it was 11.30am the 2m marker had disappeared, and the river was also quickly making it towards the 5m marker. Not only that but we had full sized logs coming down the river at us. When I chatted with Heather she mentioned that she had seen a river go from the bottom of a farm fence to completely engulfing the fence within 20 minutes, while the sun was shining. Yes this means that the rivers also fall pretty quick too, so always be prepared to wait one out. Gorges, narrow valleys and canyons are something to be especially weary of if there is bad weather in tributaries, as the river rises there is simply no-where to go to try and get to higher ground. Another consideration if in these areas is that they will often end in a set of rapids or a waterfall, neither are where you want to be in a high-flow. Braided Rivers add risk, a braided river is a river of many channels with lots of "islands" of (generally rounded) river stones, often if you have to ford these rivers you go from island to island through the channels. Although all New Zealand rivers change, these rivers and channels can change from day to day. Due to the often rounded nature of the rocks and shingle in these channels they can literally move under your feet in these rivers. These rivers also usually have large tributaries and you can be in a 30 deg C day, yet it is still raining in the tributaries and flooding will occur in the "main river". 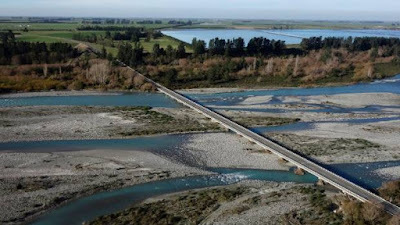 So in context of the rivers mentioned, a recent Te Araroa group took the decision to cross the Rangitata River, it took them 2 hours and this river is known to be in full flood with no channels showing within an hour. So essentially you could be half way across the river, finding yourself on a shrinking island of shifting river bed. I asked Heather why she thought both international tourists and "non-bush" people can get themselves into trouble in our rivers. It was an interesting conversation, which confirmed a lot of my thoughts. Often international backpackers/hikers are experienced in a certain set of conditions, at home, and do not have the additional knowledge of our complex weather systems and geography. Another thing that we have found is a lot of international visitors are used to more sandy river beds and will swap out for "river shoes", usually a lightweight, flexible shoe, which doesn't work so well in our river beds of rounded rocks and shingle. Often our tracks will also cross the same river or creek on multiple occasions, and many of us used to these conditions don't bother changing shoes, will just deal with wet feet and drying our boots/shoes the best we can at the end of the day. "Non bush type people will often underestimate our rivers simply because they have not had the experience. If you always cross rivers by bridge, especially in a car you just don't get to notice the changes." "I am told that in very early days there were very few drowning deaths because people respected the rivers. It was when bridges began to be built the number of drowning deaths rose as people lost that respect." To me this reinforced the idea that complacency increases risk. Knowledge is your best tool to keep yourself self and your party safe in and around rivers. Do you know the area and its tributaries? Are the river banks private property? Do you now how these rivers behave? Do you know the weather forecasts for both where you are and the tributaries? Do know know how to look for safe places to cross? Are you prepared to wait out a river? Do you have a back up plan to either go around or turn back from a dangerous river? A quick look at the topographical map and the surrounding maps will give you a good idea of the tributaries flowing into the river that you may be considering crossing. 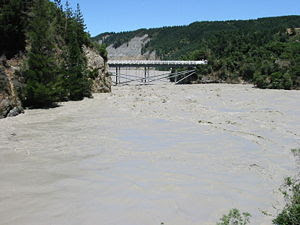 To find out how these rivers behave requires talking to locals, those that have experience in the area and here in New Zealand most regional councils have monitoring stations on rivers that can give you an idea of "normal flow" and how quickly these rivers can rise and fall. If the specific river is not monitored, looking at the flow rates and volumes of close by river can give an indication of how many of the rivers in that area can behave. If you wish to find this data just Google "river flow data" and choose the regional council page for the area you are looking for. As discussed previously our weather plays a huge part in how our rivers behave, so I monitor weather sites for about 10 days leading into any trip out. Not only am I looking for how the weather could look for the days that I am going out, but I am also looking at the trends of the weather. Is the predominate system speeding up or slowing down? Not only am I looking at the area I will be in, but also the weather in the tributaries that will be feeding the rivers I will be near. Now some of you will have noticed that I said "weather sites" and not "weather site", it is always better in this situation to be as prepared as possible and across the sites you can better look for these patterns. It also pays to learn a little about how to read these charts, there is no point looking at the information if you don't know what it means! http://www.metservice.com/national/home I use the "towns" close, the "mountains and parks" and the "maps and radar". http://www.metvuw.com/forecast/ I use these maps for the areas I am going to be in. 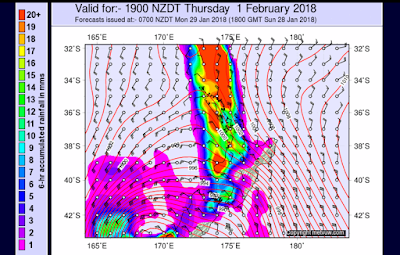 https://www.yr.no/ Although not a New Zealand site, I have found these forecasts very reliable, I search for the locations using the search function for both the area I am in and the tributaries and look for the patterns of rainfall in the tables provided. When planning your trips also look for campsites or huts that you can hunker down in if you need to or a "plan b" to avoid the river or exit the area if needed. I also plan for a "point of no return" in my trips so you have a place that you make a decision to either push forward or turn back. When I turned around on Burton's track in 2017 my "point of no return" was the first river crossing, as I knew that once I had gone past that river I had probably 3 more river crossings to come. As it turned out on that trip, it was the track conditions and not the river that had me turning around. When you get to a river there are several considerations to take into account before you cross. The 4 main factors that I consider are: flow, clarity, depth and in/outs. How clear is the river? Can I see the bottom? It the river silted out? Am I trying to cross in white water? Ideally I would be choosing a site that I can see the bottom and get an accurate gauge of depth. If I cannot see the bottom I would be concerned that the river is on the rise and bringing silt down from the hills as it has run off. If I cannot see because of white water I would be looking at more stable area, as whiter water often has a higher risk of rocks moving under your feet potentially resulting in foot entrapment. It is also far harder to gauge the depth of river if you cannot see the bottom. How deep is the river? Personally I act like a frog and I'm looking for "knee-deep" level water. Deep water can be deceiving, and with my dodgy balance, the deeper I go, the more chances of losing my balance. I would not advise people to go deeper than thigh level (think about the elephants), much more and the force of the water will be greater than the force that your legs can produce to move through the water. Yes there are pack floating techniques but I do not recommend this option unless you have been trained in this method. Where are my in/out points? What will be my entry and exit points? Is there a good entry and exit point with a nice bank to access? What does the route through the river look like? Do I have to negotiate large rocks in the middle of the flow? What happens if I fall over? Am I going to end up heading into rapids or down a waterfall or is there an eddy? Having a clear plan in mind of where you are aiming for definitely helps while crossing. If I am solo, and I am likely to want "perfect" conditions for a crossing due to my balance. If I am with a group I will utilize a group method called "mutual support" where the group links together using each others clothing and packs as anchor points. You make a line like a caterpillar and the caterpillar line is parallel to the river flow and slowly moves across the river to the chosen exit point. Again I recommend training in this method. I asked Heather for her "Top 3 Pointers and her main message about New Zealand Rivers while out "in the field" the following is her response. 1. always assess the river - is it safe to cross? Depth, how deep is it at the deepest in the crossing point. Am I comfortable with that depth? Speed/flow, how fast is it going? Faster than walking pace is too fast. How much force will it be at its swiftest? Remember flow is a combination of speed and depth so a deep slow flow may be ok but deep and fast is not. Can you see the bottom? If not is it in flood? If not how can you pick the path or know depth? What is the run out? ie what will happen if lose your footing? Waterfall, rapids .. or shallows or a nice slow pool? 2. If it is safe to cross consider where to cross. This may not be at the official crossing point. Rivers change all the time and sometimes there is a better point, which may not be very far away. Even at a good crossing point. Take time to work out your line - how will you pass around big rocks for example. Understand hydrology eg the effects of rocks on water flow. 3. If the crossing is anything other than very easy then cross bound together as a group. If you are solo it is best to use a long strong stick to help you (taller than you, and strong enough to bear your full weight). Use this upstream as a third leg. Move only one of these 3 legs at a time." "Main message - if in doubt keep out. Remember there is no time you must cross a river. Wait it out if it is flooding or go back. Good planning means having shelter and enough food so you can wait it out. Have a torch so you can go back in the dark if necessary. Check the weather beforehand - maybe change your plans, different route, different time. Look at the map beforehand, what are your alternative routes if the rivers rise?" 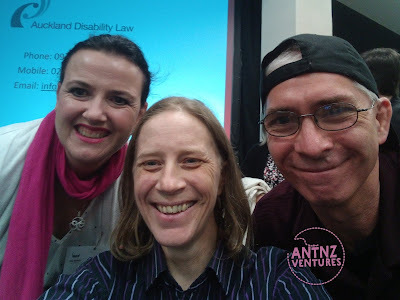 Land-based practice of "mutual support"
A huge thank you to Heather Grady for her time and expertise while I was researching for this blog! Stay safe out there everyone! Remember to #thrivenotsurvive! 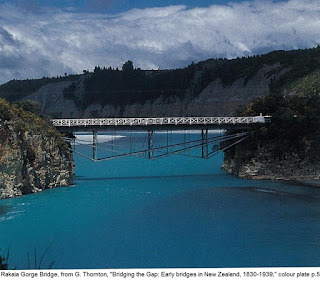 My take on early river deaths in NZ was that they were actually excessive in pioneering days due to the lack of familiarity people had with NZ conditions - to the extent is was known as 'The New Zealand death'. 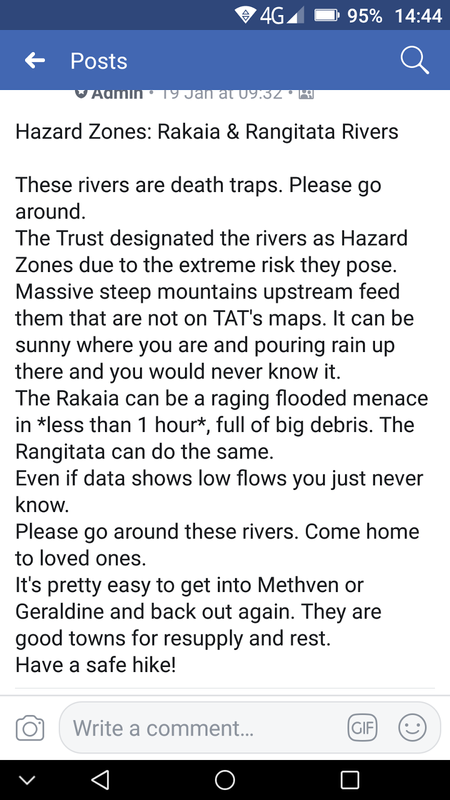 Thanks Mark, I totally agree that there are more than a couple of rivers on the TA that are hazardous, but usually the 2 rivers that causes the most conversation on the Facebook Groups are the Rangitata and Rakaia. I totally agree that people push on further than they should in bad conditions, but it leads to bad decision making and I can understand why the TAT have deemed them hazard zones. It would be nice if people actually acknowledged and respected the requests of the TAT not to cross for a couple of reasons; a) bad publicity for the trail and potential drops of numbers and b) landowner relations, the TAT has put in a huge amount of time in negotiations for access and if people keep pushing the boundaries (on many issues such as camping, toileting and potential Health and Safety issues) then there is the potential for the access to these areas for the TA could be withdrawn. It's been a pretty busy few months! This is my first post for a couple of months. I've been busy, and then really sick with that flu that has been going around and then really busy again. I put together a bit of a video of spur of the moment footage I took at the Mana Whaikaha Expo and Information day. (I will transcribe as soon as I get a chance!) The footage nor the editing is flash but I wanted to show people what we are up to. Yes I have been quite the last couple of months. It's been hectic, I've been tired and had a few health things surface that I have needed to deal with as well. All this led to me having to step away from the keyboard for a few weeks. So strap in for a brief overview of the last couple of months. I guess at times you just have to survive so you can go on to thrive again, so I've just been taking the steps to get back to thriving lately. 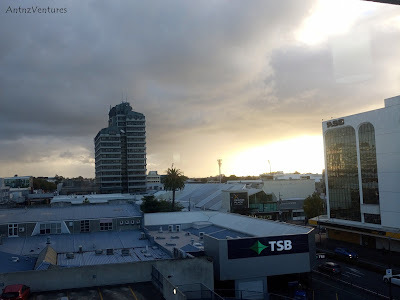 In April I traveled for the National Enabling Good Lives in Hamilton, in the last few months Ben and I have flown quite a bit but this was the first time I have had a flight cancelled. I usually travel the night before the meeting but on this occasion, due to the cancellation of my flights I was a coupe of hours late to this meeting.